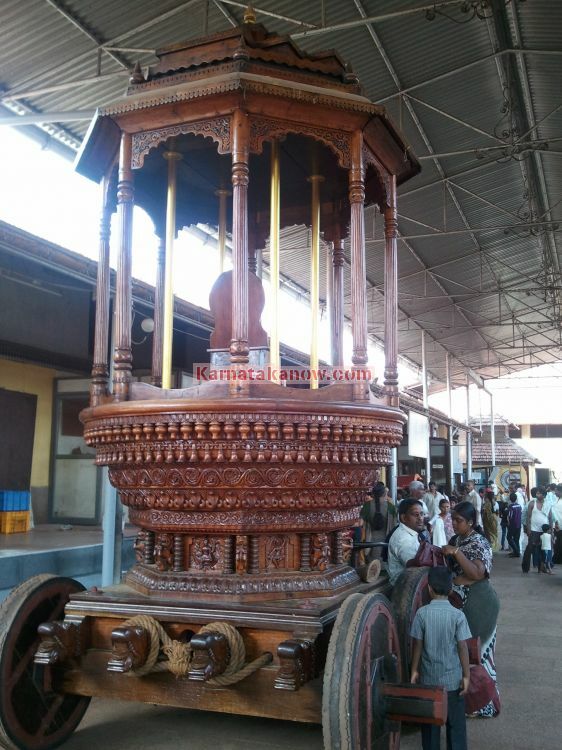 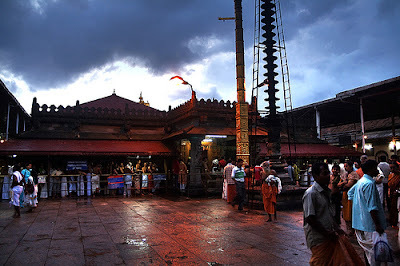 The history of Kollur Mookambika temple states that there lived a demon named Kaumasura who was unleashing a reign of terror upon all the gods with his special power given by Lord Shiva. When all the gods were trying their best to stay away from his vicinity, Guru Shukracharya brings good news to the gods that this demon would face death by a woman, that is Parvathi Devi. Knowing this Kaumasura undertakes severe penance, Lord Shiva asks this demon to ask for the boon, sensing grave danger if he his offered the boon, this goddess of speech makes this demon dumb. 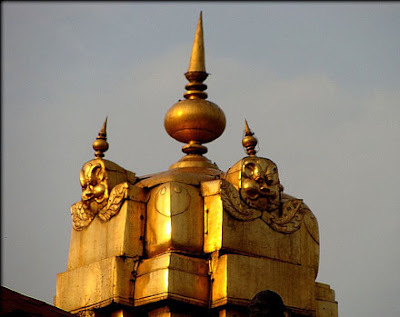 Hence this Kaumasura came to be known as Mookasura (mooka means to be dumb). Thereafter Devi mobilised all the powers of the gods and then this demon was killed by Kollur Devi Parvathi. 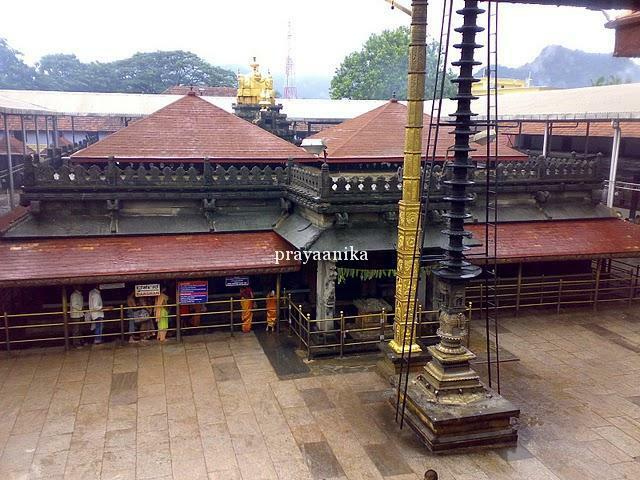 She was hence forth called Mookambikai. This place where Devi killed Mookasura is known as Marana Katte. The Kollur Devi thereafter became the deity of this place offering her blessings to all who sought her. 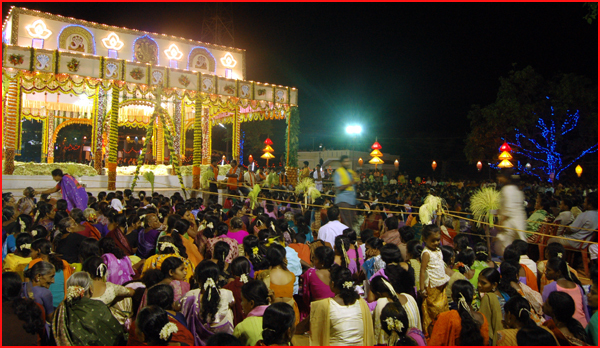 She poses with all her radiance along with the shank and chakra in both her hands sitting in the padmahasana posture. 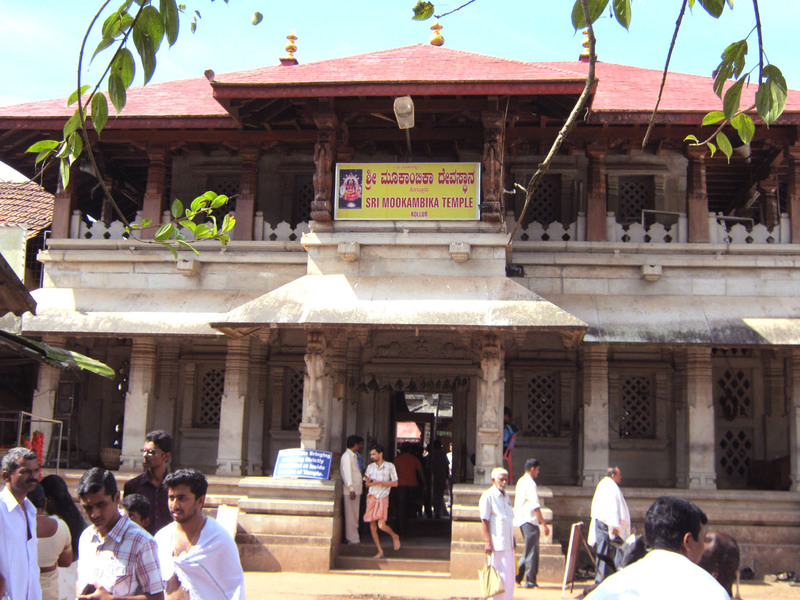 The Suyambulingam at Sri Mookambika temple is said to have come into existence when Parameshwara drew the chakra with his toe. This chakra is believed to be the Udhbava linga which has drawn its strength due its proximity to all divine beings. 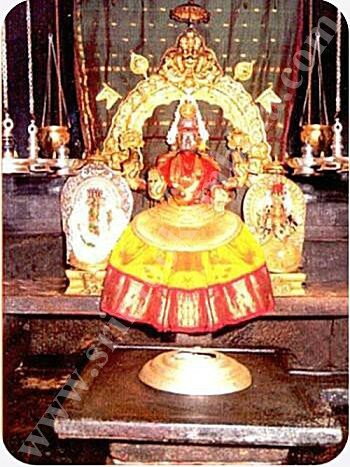 It is also very sacred since Kollur Devi is supposed to be merged with this Suyambulinga and that has made her acquire great power. 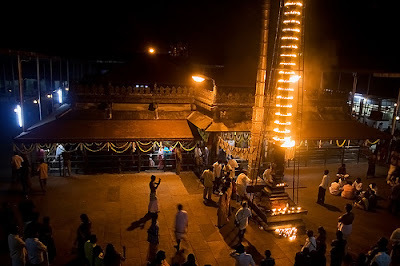 Here she is said to have formed part of Lingam along with Lakshmi and Saraswathi on one side and Lord Brahma, Vishnu and Parameshwara on the other side. Apart from this there is also an carved image of Shiva said to be injured by during the clash with Arjuna known as Kiratharjuna and this is on the right side of this Suyambulinga. 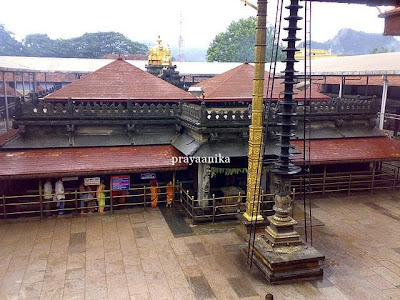 Adhi Shankaracharya is believed to be instrumental in Devi Mookambika taking this place Kollur as her abode. It is this place near the bank of Souparnika river that Adhi Shankarar stopped to fix the Chakram and on above it placed the Devi and this forms the central idol behind the Linga. 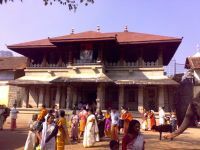 This temple has been patronized by many ancient kings who donated many precious jewels to Sri Kollur Devi and they are still adorned by her. 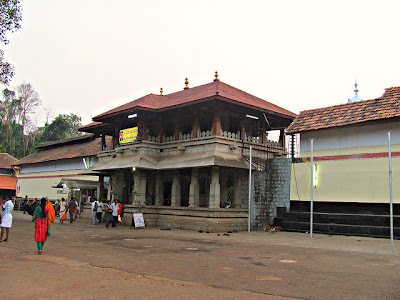 Many other hindu kings have also donated to this temple since it was believed to be the state temple in those days.